Group of companies "Petrovskie Nivy"
Group of companies “Petrovskie Nivy” - one of the fast growing companies in the south of Russia. The company buys and processes grains of all kind. 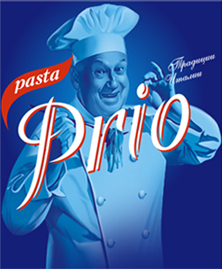 It produces flour “Petrovskie Nivy” TM, pasta “Petrovskie Nivy” TM, pasta “PastaPrio” TM, cereals “Petrovskie nivy” TM, ready flour blend “Petrovskie Nivy” TM and “Vitel” TM. All produce comply with the State Standard specification. Product range of the group of companies “Petrovskie Nivy” meets the demands of the most exacting customers and continues to grow continuously in accordance with customers' wishes and industry's curent trends. Company's experts accurately track market trends: a thorough analysis, forecasting, marketing research allow to take one of the leading places in the market of grocery produce.